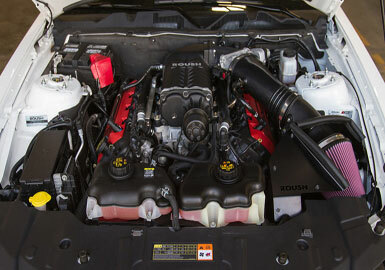 This Roush Phase 2 supercharger kit boosts the power of your Coyote 5.0L to deliver 625 HP and 525 FT/LBS of torque. 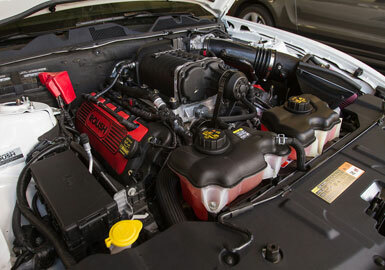 Increasing the horsepower 205 HP and 135 ft/lbs over the stock Mustang. 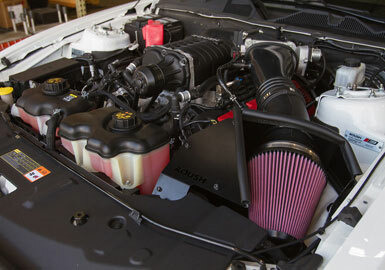 The Phase 2 calibrated kit is part of the TVS line of superchargers developed by Roush that have raised the bar of performance and reliability. Unlike turbo-charging, the Roush R2300 TVS supercharger provides instant throttle response and can generate increased power though the engines entire powerband. 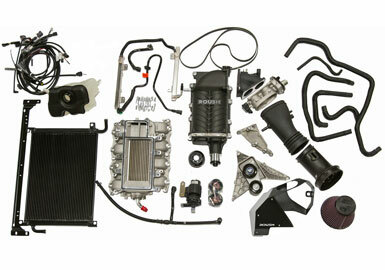 All required fasteners, wiring, brackets, hoses and clamps.